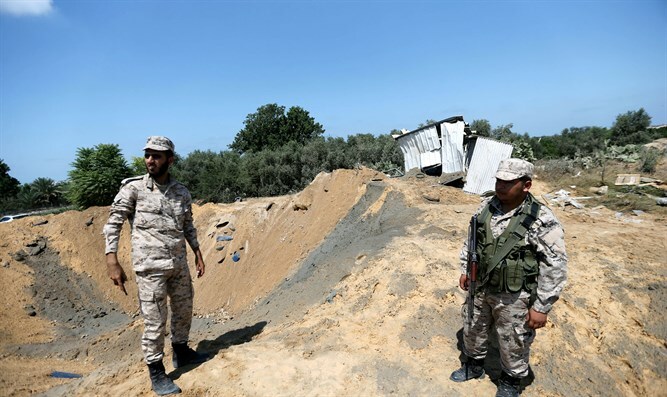 PA spokesman accuses Hamas of spreading lies and thwarting the reconciliation initiative. Yusuf al-Mahmoud, the official spokesman of the Palestinian Authority (PA) government, on Saturday night blasted Hamas after the group demanded that the PA government step down as it was not keeping its promises that were reached in a recent reconciliation agreement. Mahmoud said Hamas’s statement was "a clear withdrawal from national reconciliation and a fatal blow to all the efforts invested to end the division." Hamas had earlier accused the PA government of failing to protect the Palestinian Arab residents of Judea and Samaria by failing to make appropriate decisions in order to deal with “the settlements”, failing to defend the resistance of the Palestinian people against the “extreme right wing” Israeli government and even acting against the “resistance”, and failing to protect Jerusalem against Israel’s “Judaization” efforts in the city. Mahmoud said in response that the government was surprised by the Hamas statement, which included false claims, such as the claim that the government had taken over all the powers in Gaza, when in effect it received only five percent. The timing of Hamas's announcement, Mahmoud said, raises many questions, especially in view of the government's opposition to "the liquidation plans" (a hint at U.S. President Donald Trump's diplomatic efforts) of the Palestinian problem. He called on the Hamas movement to immediately take back its claims and work toward the unity of the Palestinian people and an end to the split. Fatah was to have assumed control of Gaza under an Egyptian-brokered reconciliation deal signed between Hamas and Fatah last month. This week, however, the sides agreed to postpone the handover of Gaza. Hamas has also repeatedly accused Fatah leader and PA chairman Mahmoud Abbas of thwarting the reconciliation efforts.